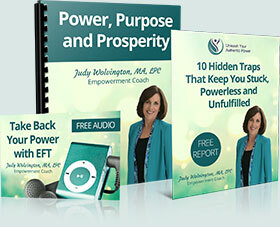 I believe that your highest purpose is to awaken to who you really, truly are. You are a being of LOVE, here to express the amazing gifts and talents that you were born with. But what if you are blocked and clueless? What if you have an inner “naysayer” that is holding you back, telling you you’re not good enough, or that you aren’t creative enough? That’s the voice of your EGO, the part of you that is based in fear. We are here to learn to live instead from the part of us that is based in LOVE: our True Self. This is who we are underneath all of our distressing disguises. 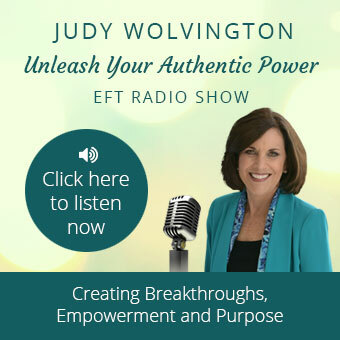 In this podcast we will use EFT Tapping to “tap away” the negativity to clear space for your higher purpose to become crystal clear. Dr. Wayne Dyer cautioned us: “Don’t die with your music still inside you.” We are called to express our purpose! We ALL came here for a reason. Tap into that something inside of you that you are here to bring to the world.